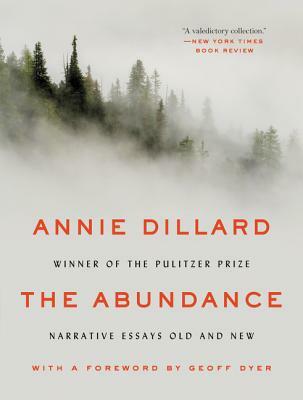 The Abundance includes the best of Annie Dillard’s essays, delivered in her fierce and muscular prose. Intense, vivid, and fearless, her work endows the true and seemingly ordinary aspects of life with beauty and irony. These essays invite readers into sweeping landscapes, to join her in exploring the complexities of time and death, often with wry humor. On one page, an eagle falls from the sky with a weasel attached to its throat; on another, a man walks into a bar. Marking the vigor of this powerful writer, The Abundance highlights Annie Dillard’s elegance of mind.